Hello sassy friends and welcome to our challenge for this week. 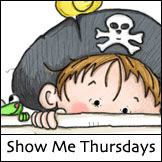 We just LOVED seeing all of your lovely creations in last week's "Anything Goes" challenge! What a super and oh so creative turnout we had. Thank you everyone for joining us... we were thrilled to see all of you join us! Congratulations to you, Dee. You are just one very lucky lady! All you have to do is email Sassy Cheryl to arrange for your shopping spree and have fun picking some new favorites. 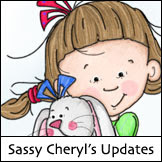 Sassy Cheryl has a few new little girls to pick from in her shop. Now on to our challenge for this week. Sassy Peggy got to pick our theme and picked "Butterflies" and it's perfect for a Springtime challenge. 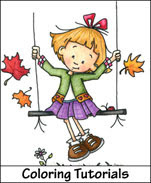 Take a look at what Sassy Peggy and the design team have created for this challenge. You can get all of the details of their cards at their blogs/galleries by clicking on their names. But, before you do that, read on for more details about our weekly challenge. To join us in our challenge, it's quite simple. Follow our "Butterfly" theme for this week, post your creation to your blog or online gallery, then link back here using InLinkz below. You can enter only once and your entry must be new.. no back-linking please! Using a Sassy Cheryl image isn't necessary, but we love when you do and you get two entries in our weekly random drawing. 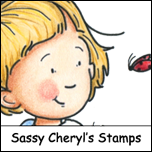 One lucky winner will get to select two images from Sassy Cheryl's shop. So get crafty and join us! We can't wait to see what you create! CONGRATULATIONS Dee! Just drop me an email and I'll get the two FREE images credited to your account. Ladies. What a fabulous group of cards. Butterflies is a great choice for the challenge this week and I know that these amazing cards are going to be a great source of inspiration. Love em! These are all over the top beautiful creations. I LOVE butterflies, so this will be one fun challenge. Congrats Dee. Lovely DT samples! What sweet examples to inspire us! Love, love, love the card entries for this week girls. Each and everyone was fabulous! Thanks for playing along. Good luck in the drawing for the 2 FREE images!